I swear that making lasagna is therapy to my soul. I am always relaxed by the time I am done cooking it and am in a refreshed mood. I love doing crafts for this reason - they are very relaxing to me. But there is something about lasagna that takes all of my tension away and leaves me feeling renewed. 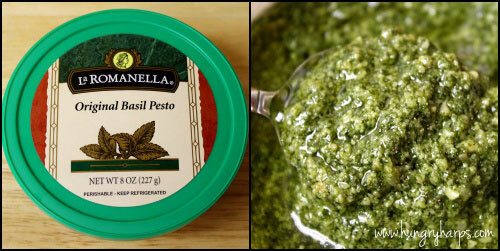 I am going to sidetrack for a second here and share with you that La Romanella's Basil Pesto is so tasty! We actually bought two containers of it - one for this lasagna and one to enjoy in another dish. I used it to make a Pesto-Cheese sauce for the lasagna. Delicious! 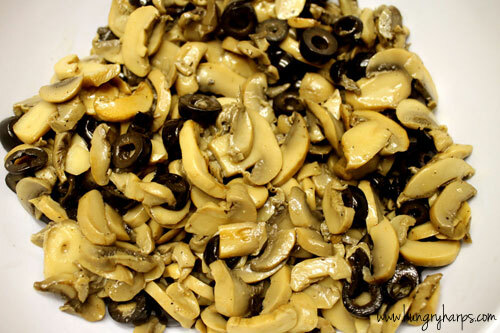 I decided to saute the mushrooms and olives in a little olive oil with salt and pepper before adding them to the lasagna. It took out a bit of the moisture, which I didn't want in the lasagna, and it gave them more flavor. 2. In medium pot melt 2 tablespoons of butter, just until sizzling. Add 2 tablespoons flour and whisk for 4 minutes, making a blonde roux. 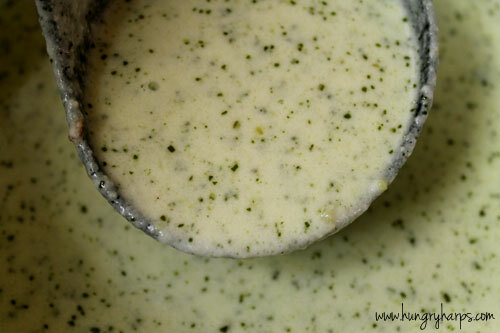 Slowly add milk and heavy cream while whisking – whisk until smooth. Stirring constantly, bring to a boil and add 3 cups shredded cheese. Reduce heat to low and simmer for 5 minutes while continuously stirring to ensure smoothness of cheese mixture. Remove from heat and stir in pesto. *Whenever I make lasagna I do not measure the ingredients for each layer – I really just eyeball how many ingredients I have and split it up evenly over the layers. 5. For the second layer, place ingredients in the same order, adding meatballs after the ricotta cheese but before the mushroom mixture. This will cause the mushrooms and olives to surround the meatball and hold it in place. Use as many or little meatballs as you like – I ended up using only 8, but there was room for plenty more. 6. For the third layer, only use noodles, pesto-cheese sauce and shredded cheese. 7. Cover tightly with aluminum foil and bake for 25 minutes. 8. Remove foil and bake for an additional 30-35 minutes or until top is golden and bubbly. 9. Let cool, for at least 20 minutes. If you care about the presentation of your lasagna you will want to let it cool longer than I did. It was not too pretty served up on a plate - however, it was not lacking in flavor one bit! 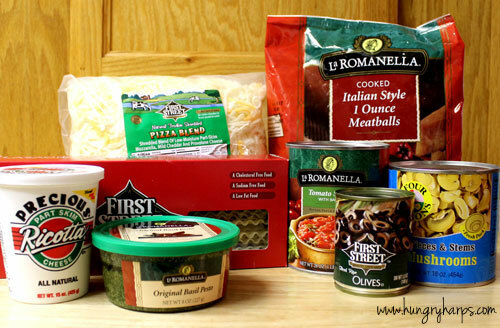 I also want to share that anyone who decides to give Smart & Final’s La Romanella line a try before March 6th can go to www.smartandfinal.com/LaRomanella2012 and enter a code on the receipt from their purchase of La Romanella product(s) and be entered to win some awesome prizes including an Italian-themed weekend trip to Las Vegas, $100 Smart Cards and baskets worth over $50 in La Romanella products! Check it out!! One last thing, and then I will let you go. 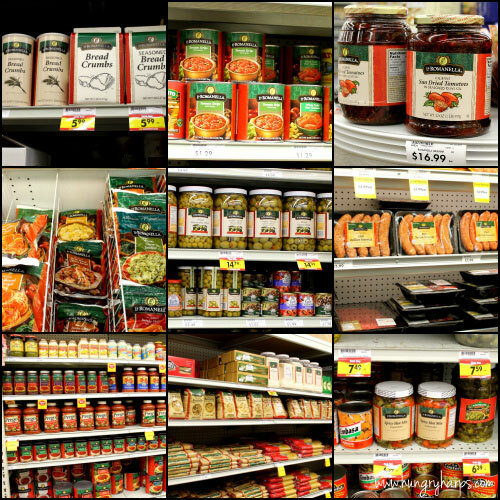 ;) The recipe calls for 28 oz La Romanella Tomato Strips with Basil, drained. Don't let what you drain go to waste. 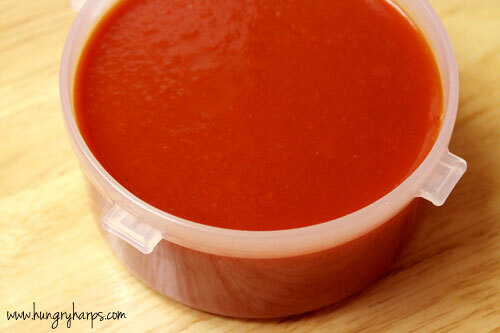 Save the liquid and heat up as tomato soup for lunch the next day, it is so good. Goes even better with a grilled cheese sandwich. 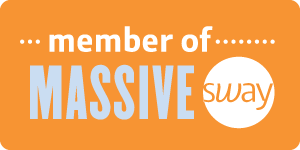 :) Thanks for reading!! 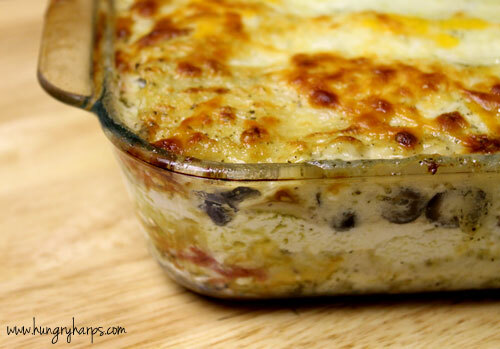 I love this lasagna idea! Basil pesto is so yummy :) Thanks for sharing, Jess! Have a great day! This looks delicious! My mouth is watering just looking at it! This looks incredible - I love all the mushrooms and olives :) I'd love a slice! 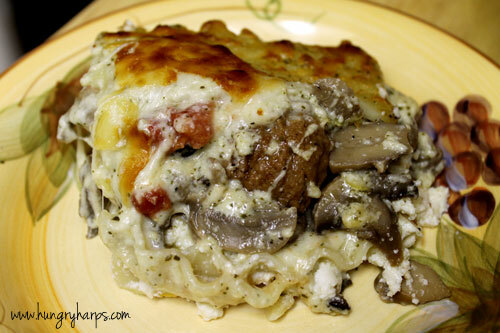 This looks amazing--I've never seen meatballs in a lasagna before, but this would be fabulous for a weeknight dinner party. I love it when I can find delicious recipes that aren't tomato-based. Some of my family members have sensitive tummies, so it's nice to find an alternative. Looks delicious! What a great idea! So creative and yummy!